Understanding Borderline Personality Disorder – The Lost Self – The Impact of The Core Wound of Abandonment features a thorough examination and explanation geared toward helping you understand Borderline Personality Disorder and gain insight into and awareness of the impact of the core wound of abandonment in BPD. It is the first ebook in what will be a series of 3 explaining, from the inside out, the many layers and various aspects of the impact of what A.J. has termed the “core wound of abandonment” that she identified in her journey of recovery as the wound that is central to what BPD actually is and how and why it persists. In this newest series of 3 ebooks Mahari shares her insight, from the inside out, as one who has recovered from BPD. She outlines what she has identified as the impact of the core wound of abandonment. 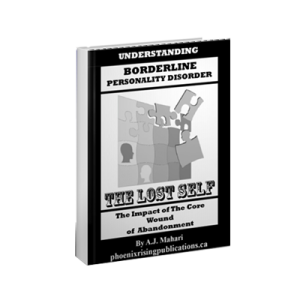 This first ebook, “The Lost Self” in this series provides understanding about how the core wound of abandonment has impacted the lost borderline self and what that really means in terms of how BPD is experienced by those who have it. 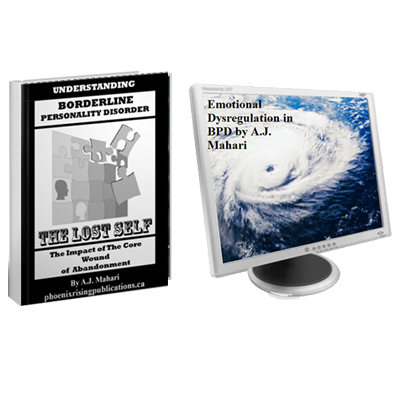 This ebook “Understanding Borderline Personality Disorder – The Lost Self – The Impact of the Core Wound of Abandonment” and its coming (very soon) two companion ebooks in this series of 3 ebooks, are sequels or follow-ups to Mahari’s first series of 3 ebooks in her “Core Wound of Abandonment” series and are not the same at all. They will add to your understanding. 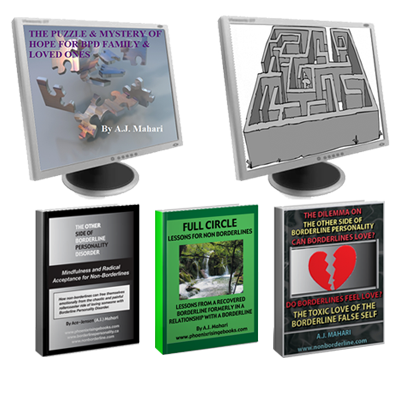 First one has to know what the core wound of abandonment is and in this series of ebooks A.J. Mahari expands on the impact of this core wound of abandonment explaining many of the mystery puzzle-like aspects and manifestations of BPD so that those with BPD and those who are family members, loved ones or relationship partners of someone with BPD – non borderlines can really increase their awareness of just how to create the kind of change that recovery from BPD requires. Examining Emotional Dysregulation in those with BPD. Non borderline need to understand Borderline Emotional dysregulation. Emotion regulation is central to recovery from Borderline Personality Disorder. People with Borderline Personality Disorder often experience emotional dysregulation. Dysregulated emotions form the foundation for much of borderline behaviour. These dysregulated emotions and/or mood states are central to the perpetuation of ruptured relationships, cognitive distortions, black and white thinking and the continued suffering of those with BPD. This audio presentation by A.J. 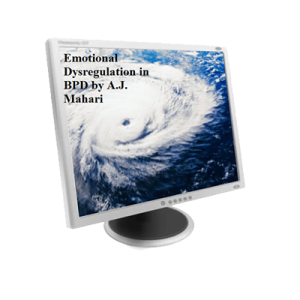 Mahari will be of value to your understanding of emotional dysegulation, unregulated emotions in those with BPD, whether you have BPD or are a Non Borderline seeking more understanding of BPD. A.J. talks about the what emotional dysregulation is and why it is so central to keeping those with BPD stuck in the active throes of BPD. Emotional Dysregulation is at the centre of BPD and learning to cope effectively with is the way to get on the road to recovery. A.J. talks about what causes emotional dysregulation and the reality of emotional triggers. A.J. also talks about what those with BPD can do to cope with the emotional triggers that cause emotional dysregulation. In the last track of this audio A.J. 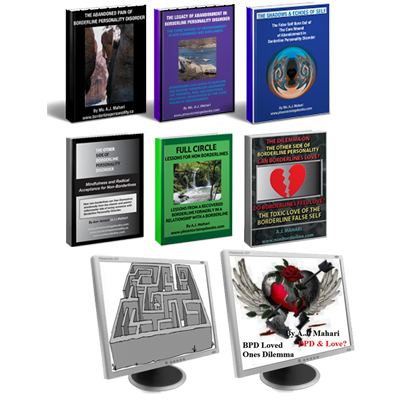 talks to non borderlines about everything they need to know about borderline dysregulation. This track is recommended for non borderline only.